According to Aon Benfield’s Impact Forecasting, insured losses from lightning strikes are at an all-time high. Fact: Lightning travels at about 220,000,000 miles per house and will have exited the body by the time you approach. Check for a pulse and render first aid if possible. Call 911 immediately. 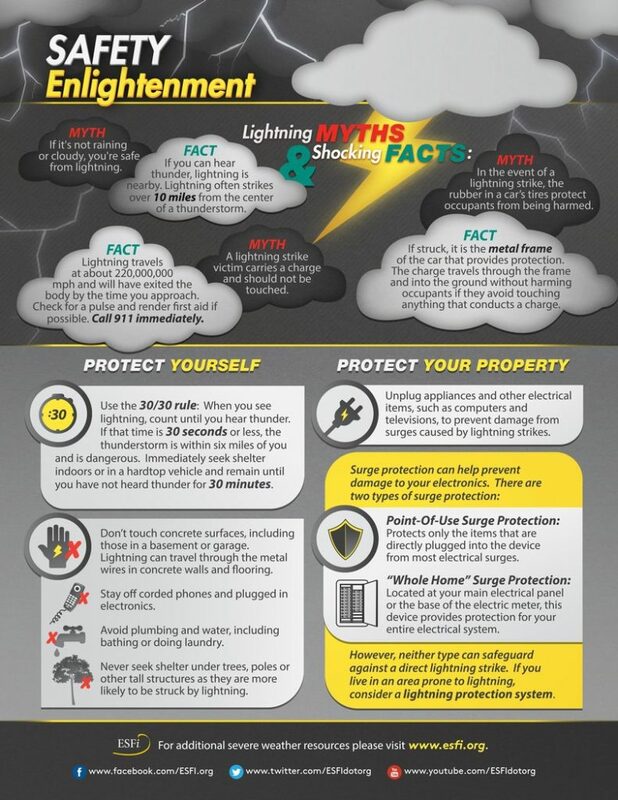 Surge Protection can help prevent damages to your electronics.